What do board-riders at Bondi think of the proposed "ban"? Bondi Beach is one of Australia’s most iconic spots. With its amazing views and great surf, each year millions visit the shores of Sydney’s famous holiday location, soaking up the sun, taking a dip and catching a wave. But a proposal by local Waverley Council to banish board-riders to one end of the beach, to avoid collisions with swimmers, has sent a wave of outrage through the surfing community – even though the council has hastily backtracked following the uproar. The council told local media last month that a survey of Bondi’s many and diverse users had mooted the proposal to restrict surfboards with a fin to the southern end of the beach, to “eliminate any interaction with people who choose to bathe between the flags”. Not all surfers are reassured, and many have strong views on a potential ban, saying that it would cause further safety issues if surfers were restricted to a confined area at the southern end of the beach. 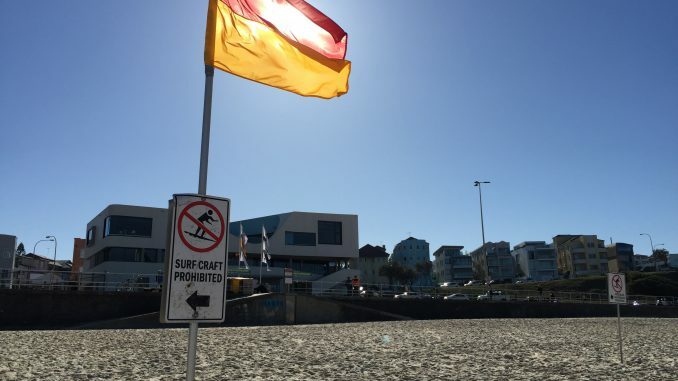 Others said cramming all surfers into one end of the beach would pose more risk to safety than the chance of a swimmer getting struck by a board in the flagged area. Some said the sharp rocks near the southern end made it dangerous enough without the added congestion of everyone being down there. At the moment, fibreglass surf boards are restricted to the southern end of the beach during patrol hours. Soft boards – typically favoured by children and amateur surfers – can be used anywhere except flagged swimming areas. According to one local, Tim, surfers already abide by those rules and don’t surf near the flags when they are up. “If you don’t, they [the lifeguards] shut you down pretty quick anyway,” he said. Journalism student at Macleay College with a passion for all things culturally relevant. "Stay true, stay you."